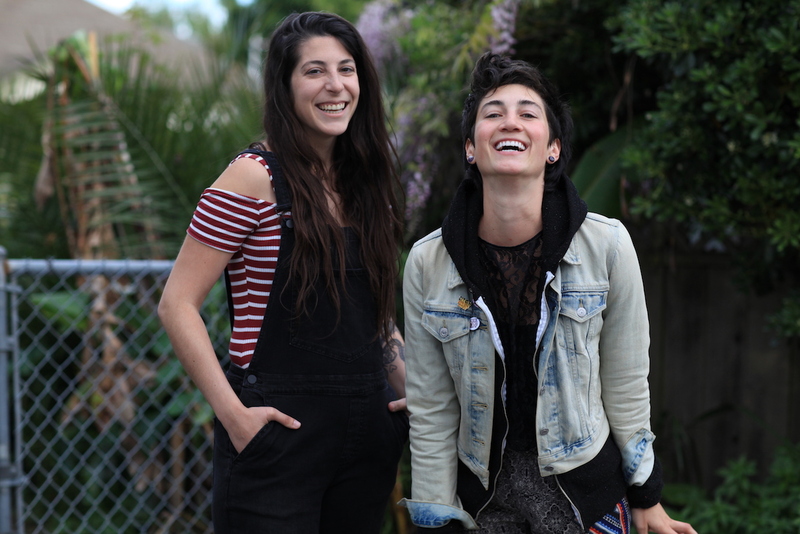 Boss Barista owners, creators and hosts Ashley Rodriguez (left) and Jasper Wilde. Photo by Rachel Stanich, courtesy of Boss Barista. Ashley Rodriguez and Jasper Wilde launched the Boss Barista podcast in February of last year after becoming increasingly fed up with the level of discourse available to coffee professionals — particularly for people who have been historically marginalized or overlooked — through traditional media channels. Judging by the podcast’s numbers today, Rodriguez and Wilde do not share that sentiment alone. Described as an intersectional feminist podcast, Boss Barista has amassed more than 10,000 subscribers while producing more than 30 episodes over the past 13 months. Hoping to avoid corporate sponsorship, The BB team just launched a Patreon campaign in order to keep the labor-intensive endeavor up and running. In the process, Rodriguez hope to progressively transform the discourse in professional coffee while tackling issues that others may be afraid or otherwise unwilling to publicly address. 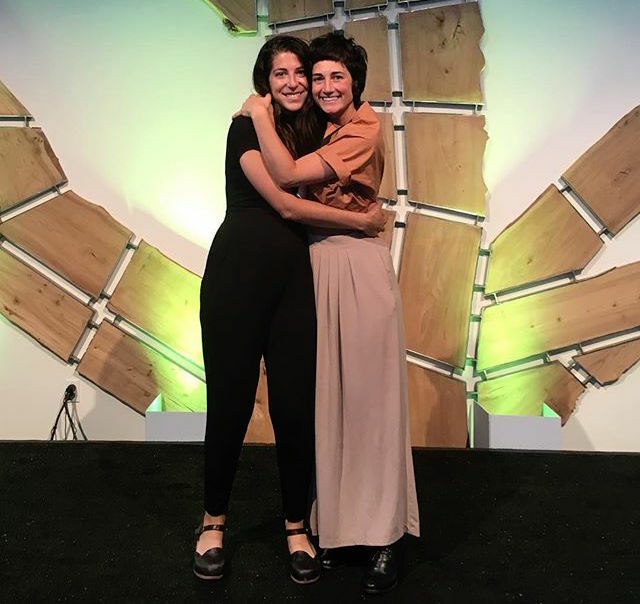 Daily Coffee News recently caught up with Rodriguez and Wilde via electronic mail to discuss the podcast and what might be in store for 2018 as they continue to move coffee’s conversation needle. Would you please tell us a bit about yourselves? AR: I’ve been in coffee for the last seven years. I was a middle school teacher, and then started working at Gregorys Coffee when I got burnt out, intending that to just be a short break… and here I am now! I worked mostly in New York, then moved to the Bay Area, and am now in Chicago. Jasper: I was raised in a conservative Christian cult and was sheltered from most of the world/community around me. In 2006 when I was 16, I convinced my mom to let me work at the Starbucks a few blocks away from our home. It was my first taste of freedom from the clutches of evangelicalism. And in that cafe is where I got to talk to customers who were different than me, work with some amazing women, and began my own transformation into the queer, feminist witch that I’ve become. 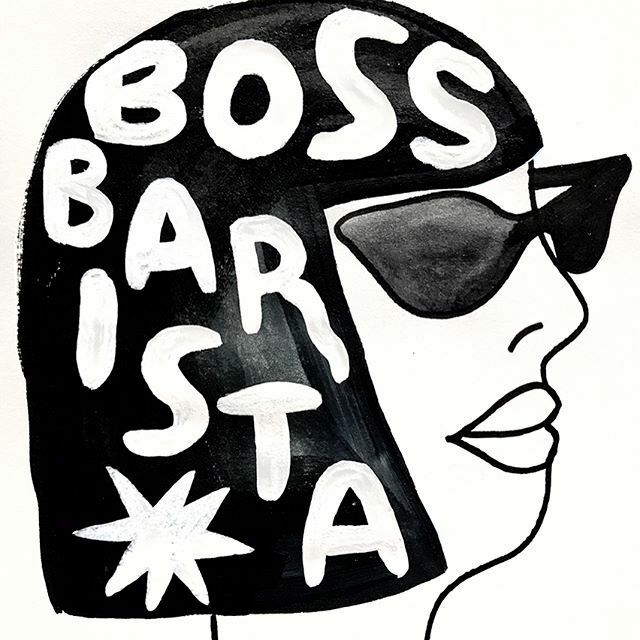 Boss Barista logo. Artwork by Meg Fransee. What was the impetus for the podcast? AR: I had really been craving an outlet for more feminist discourse in coffee. I write for Barista Magazine, and was seeing some (still very little, but some) diversity in writing, but none in podcasting. One day, a coffee podcast made an open call to its audience asking why women weren’t applying for jobs with their company, so I responded, and was verbally berated by one of the hosts. I couldn’t understand — he asked and I responded! I decided that the media wasn’t going to change, so we had to create the media. JW: Coffee culture as it stands today celebrates toxic masculinity and upholds white supremacy. This might sound outrageous or exaggerated to some, but with critical examination we see that complicity in harmful systems and behaviors is common within the leaders of coffee. Before Ashley and I started Boss Barista, I was immersed in feminist and anti-racist pages and discussions on Facebook and Instagram. The more I learned about systemic oppression and inequality in the world, the more I started to see it at work. The place that I once found as a haven of support for me so many years ago, was a force for destruction and classism for others. Ashley and I decided that we had the privilege to stand up and show a different example of what the coffee industry should be. Regarding the medium, what does a podacast offer that, say, the written word may not? Along those lines, how much editing is involved in each episode, and how much time on average does an episode take to produce? AR: I think podcasting gives a very human aspect to reporting, interviewing, and talking about ideas. There’s a chance for things to be spontaneous, and for interactions with our guest to be very vulnerable and relatable, which I don’t think is as easy when you write. When you write, things are definitely more polished, but there are things you can’t capture as well. JW: Podcasting is great because it’s like having a conversation where no one interrupts you! It’s much more personal than the written word because it’s like Ashley and I are talking to you right in your ear. A lot of our listeners have very busy lives and podcasting lets them get other things done while listening in a way reading does not. I’m also a slow writer that produces theoretical/manifesto-y sounding work, and I find it [much] easier to digest that kind of material when it’s in an audio form rather than in written form. Photo courtesy of Boss Barista. A lot of the issues addressed in the podcast are related to “the workplace.” Have you gotten feedback from employers/owners about the project? Obviously, people in positions of power are critically important in affecting positive change. Do you see the podcast as in some way directed at them? AR: I think the podcast is meant to get to both groups; to leaders who can affect change, and to baristas and those with less power to know that they’re seen and their concerns are valid. Hearing that others experience what you’re experiencing is powerful; it’s easy to think you’re wrong or alone when there’s no one validating your experiences, and hopefully hearing stories of others’ experiences is a helpful resource. JW: Yes. Many people have reached out to us to share stories with us or to get advice about specific situations. We absolutely want people in positions of power to be listening and to change the current power structure. However our goal is not to nicely ask them to stop harassing us or paying us less or devaluing our work; our goal is to transform our workplaces, relationships, and governments by creating true equity. To do this we need every barista, roaster, customer, manager, CEO, producer, green buyer and voter to stop what they’ve been doing unconsciously and to start learning. We too have much to learn. Many of the issues addressed in the show are coffee-related only inasmuch as the people talking/thinking about them are coffee professionals. Why frame these conversations around coffee in the first place? AR: We frame them around coffee obviously because we’re in coffee, but also because coffee can and should be a progressive leader. We’re awesome at some things in the specialty industry, but super crappy at others, but there’s at least a door open here. People might not always want to hear what we’re talking about, but the conversations we’re having in coffee are more progressive and inclusive than, say, the tech industry or the legal profession. A friend of mine once told me that he has to believe coffee can be the best industry — the best to its employees, its producers, its customers. It’s possible if we do the work. But we’re certainly not there yet. JW: We have started as a coffee podcast because that’s where our network has been and this is the industry that we know so well. We do have an interest to see the coffee industry change specifically because we are tired of seeing our friends and loved ones hurt. But our conversations can apply to everyone in some way. Many of our new subscribers are not in the coffee industry and have found us because we are feminists talking about relevant topics. 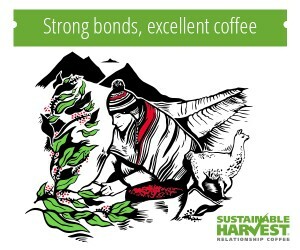 Along those lines, you often hear the sentiment that coffee, as an industry, likes to talk about how progressive and socially responsible it is, yet if you look at things like inequity throughout the supply chain, or the dearth of owners of coffee companies who are non cis white males, you can argue not the case. If you tend to agree, why do you think coffee seems especially contradictory in this way? AR: I think because coffee has been historically welcoming to some groups. Again, this is not the experience for everyone, and there are lots of people who have been excluded, but we do have some powerful leaders to turn to that break the mold. But we’re not done, and there’s still SO MUCH to do. I’m not 100 percent sure why this contradiction exists, but if we acknowledge it, it means we can fight it and do better. JW: People love to think of the coffee industry as “progressive” because we employee people who have tattoos or dyed hair. This definition of progressive is extremely shallow… The coffee industry has only “accepted” these people and others because they are an unlimited source of cheap labor that is not accepted into traditional workforces. We have in essence taken marginalized people (queer, trans, non white, female) and simply employed them at minimum wage and then given ourselves credit for changing the norm. The coffee industry exploits these marginalized people and we often do not see them move up. How many non white people or trans people have started as a barista and now own a successful coffee company? How many women are board members of specialty coffee organizations? How many disabled people have even been hired? This is only focusing on the cafe side of the power pyramid. 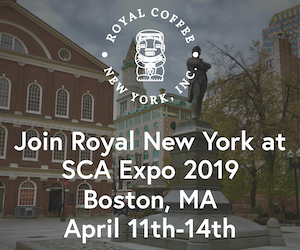 What do you think we would find once we examine how the colonialist history and power structures left over from slavery continues to impact specialty coffee at the producer level? We are not at all a progressive industry, but it doesn’t have to stay that way. It obviously takes courage to lead public conversations about issues that many people are unwilling to have in front of peers and colleagues. Have you ever run into a situation where you have ideas for topics or specific guests that never come to light simply because of fear of retribution — perhaps socially or financially? AR: Recently, yes. Most of our guests have been super forthcoming, but when we started covering the Four Barrel situation, we had to be more careful. And we’ve made mistakes before in the questions we’ve asked folks and the topics we’ve covered. JW: Yes, we know of at least a dozen sexual harassers and assaulters that are powerful in the coffee industry that we are unable to call out because of libel laws. To this point, who has given you some of your favorite and/or most enlightening interviews? AR: Tymika Lawrence was one of my favorite guests. What I loved about her interview was that she talked both about social issues and coffee issues. Sometimes, the podcast never gets to address coffee, but Tymika knows so much working with Genuine Origin. Dani Goot was also an amazing guest, as was Liz Dean and Lisa [Knisely]… We also learn a lot from the interviews we have that don’t go well, which have happened because we did not educate ourselves well enough or we held preconceived notions about a certain person or group. JW: I loved our gentrification episode called “There was nothing here before the coffeeshop opened!” I also really enjoyed interviewing Liz Dean and Tymika Lawrence. Both of their interviews were super enlightening and I’ve gone back to them several times. What topics/subjects might we hear broached in the coming months? AR: We’re hoping to get more producers and folks at origin involved. We’d like to do more episodes in different languages, too. We also really like hearing from others and getting ideas. JW: We are going to have an episode about knowing your rights as it relates to legal workplace issues. We also hope to interview some of the baristas that unionized Gimme! coffee in Ithaca, N.Y.
– This might sound silly, but what’s the goal here? What do you hope this project will do? AR: We hope to provide a platform for critical and necessary conversations. Having a voice is really important and being heard is too. It’s also personal — creating things and being changed and inspired by the people we meet and having a forum to celebrate others. JW: Smash the Capitalistic White Supremacist Neocolonialist Hetero Patriarchy! “Smash the Capitalistic White Supremacist Neocolonialist Hetero Patriarchy!” Damn! She’s kinda scary. I like her.